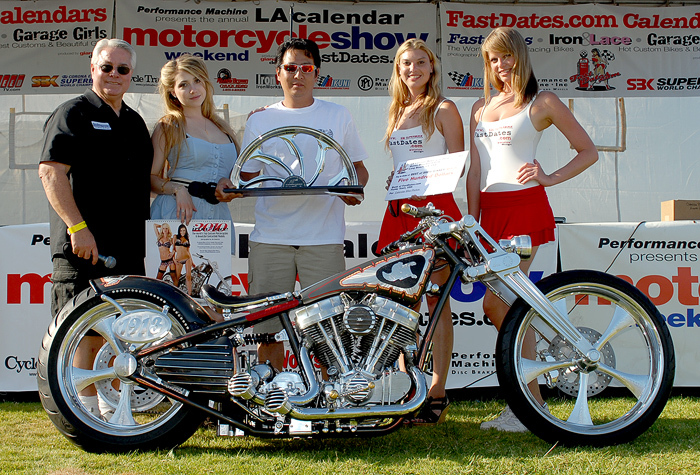 The LA Calendar Motorcycle Show's Calendar Bike Building Championship produced by Jim Gianatsis / FastDates.com continues its now 28-year tradition as one of the premier custom bike shows in America now in partnership with the Rider RoundUp at the Ranch. The event takes place on Sunday October 7th 2018 in the Old Western Town movie set at Paramount State Park, Agoura, CA, produced by Calendar Bike Builder Russell Mitchell / Exile Cycles. 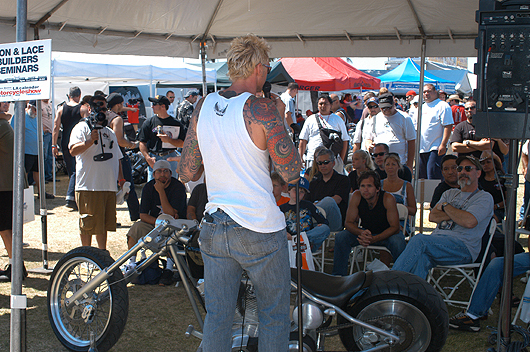 Featuring top Celebrity Custom Bikes & Builders, selected Vendors and Exhibitors, Live Music performances. With the premier of the new 2019 FastDates.com Motorcycle PinUp Calendars featuring the world's top Sport and Custom Motorcycles with the beautiful Calendar Kittens in attendance at the Show. 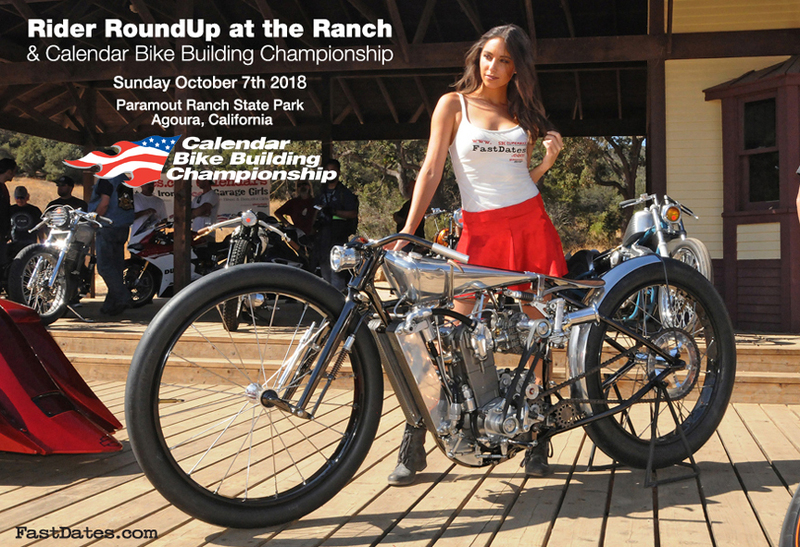 Selected Builders and their winning Bikes will be invited to be photographed in nearby Woodland Hills, CA, on Monday Oct 8th by producer Jim Gianatsis for the next FastDates.com Calendars. Got an exciting Calendar Worthy Custom Bike? Email Us a picture with details and you could earn a complimentary invitation to the Calendar Photo Shho on Monday 8th following the Rider RoundUp..
Spectators Admission is $20 at the Gate Day of the Event. All Advance and Walk-Up Ticket Sales Are Non-Refundable. Should we near spectator capacity, Admission will be limited to Advance Ticket Purchase Holders Only. 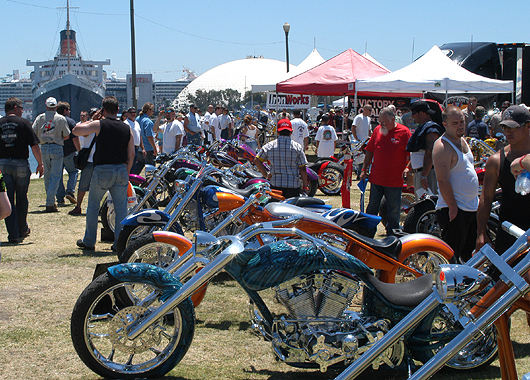 The 2018 LA Calendar Bike Show continues its now 28-year tradition as the premier outdoor streetbike event in America with Celebrity Builders, the upscale Calendar Bike Building Championship, selected Vendors and Exhibitors, Calendar Girl Music live performances, and now a Concours d' Elegance. 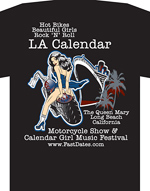 As always the Show marks the world premier of next year's new 2016 FastDates.com Motorcycle PinUp Calendars featuring the world's top roadrace and custom motorcycles with the beautiful Calendar Kittens also featured in the Calendars in attendance at the Show. 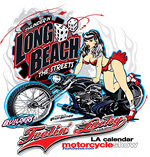 The LA Calendar Motorcycle Show has continued to grow every year to become the biggest and most popular streetbike show in America catering to the custom, cruiser and sportbike markets. 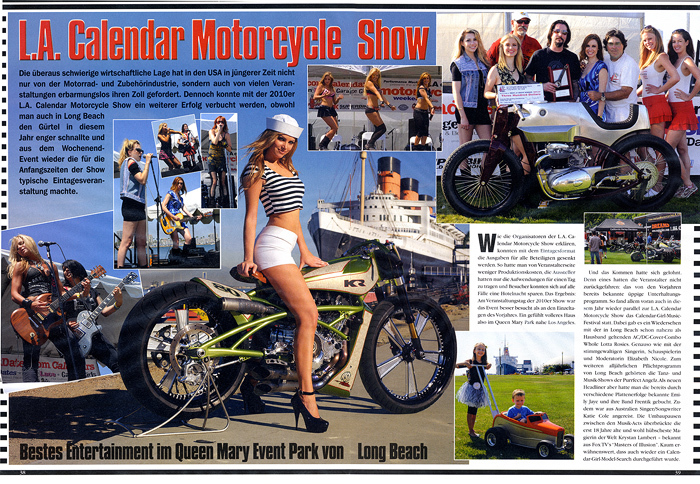 LA Calendar Motorccyle Show, Long Beach, CA, at the Queen Mary Event Park. 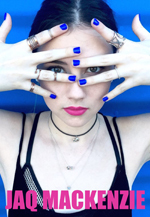 The LA Calendar Show is held on Private Property. We have the legal and constitutional right to deny admission to anyone not meeting the published dress code, not being respectful of others, and not observing the California Vehicle Code and the Laws of the State, County and City. on this website with you acceptance of these policies. There will be no Admission Refunds if your admission is denied or attendace is revoked for not observing these posted rules. We need your help in being good, respectful, quiet neighbors if we want to continue at this location, one of the last great venues for an outdoor motorcycle event in Los Angeles County. Thank you in advance for your compliance and help! If you don't like meeting some of the top bike builders in America and seeing thir bikes, our Vendors and Exhibitors, or the Bands previewed here, then please don't buy an admission ticket. It cost us a lot of money to produce this event and your admission will not be refuned. We can not gurantee the attendace of any Celebrity Builder. Motorcycle Parking is free. Please park in the designatied areas for spectator Bikes and Cars, and Vendors. 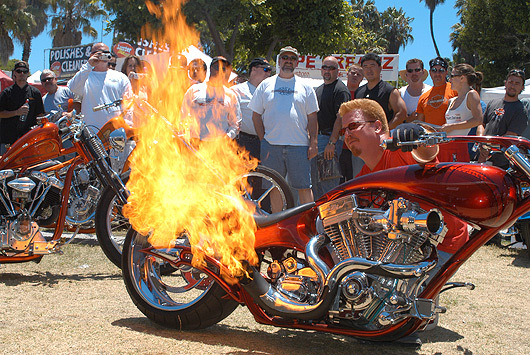 We ask that all Motorcyclists attending the Show be respectable of others in the comunity. If you have a really loud illegal exhaust (open pipes) on your bike, and you enjoy reving the hell out of it to compensate for your own personal inadequacies and attract attention, please stay home, we don't need you as a spectator. Club colors are cool if you are proud of your bike brand or riding group. But we may ask you to leave them on your bike and not wear them into the venue if our city permit requires a no colors policy. Thank you..
only with permission of the Show Producer. You must have advance Media or Commercial Approval for Professional Video Filming or using a Pro Still or Video Camera.